This lovely versatile Roch Valley Cotton/Lycra wrap cardigan is perfect for warm up and great for uniform, class, exam or everyday wear. The high cotton content of the fabric makes this wrap cardigan very comfortable to wear with just the right amount of lycra to keep its shape. Wear with leotards and dance skirts or shorts - the cardigan can be tied at the front or worn as a wrap and tied at the back. 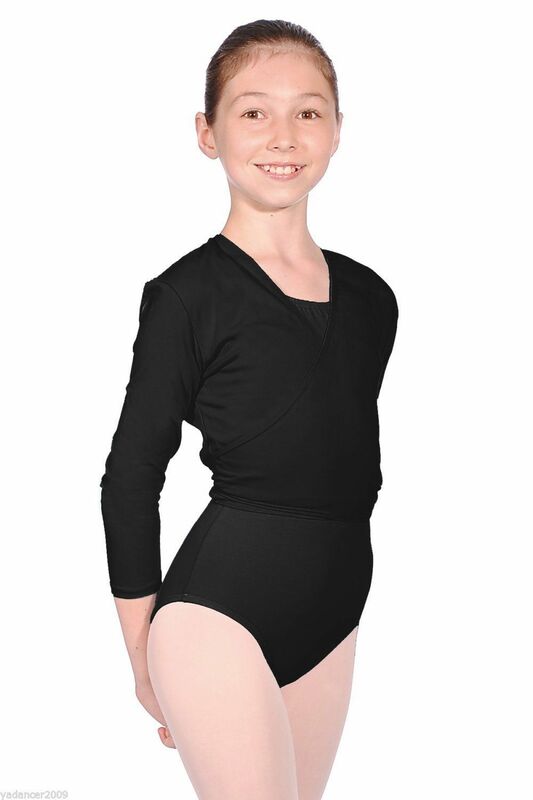 Available in Black in a wide range of sizes, remember to look at height guidelines for children as well as their age as this is often the best way to select the correct size. Please do not hesitate to contact me for any other uniform/show/exam requirements and I will do my best to help!